Finding the right packaging, the best form of capping, is a job for professionals. GRAVIS is a company which has specialised in this demanding sector for many years. Our activity is divided across three packaging centres, dedicated to pharmaceutical, cosmetics and agri-food. GRAVIS offers you advice and support with your research in terms of materials, types of glass, accessories, etc. in order to identify, together, the products which best meet your needs and constraints. Our experience in the field of primary packaging distribution, combined with our geographical locations - Orly, Valenciennes, Lyons, Trélazé - enable us to work closely with you. In addition, our exports unit has been continuously growing for many years, serving our customers in over 40 countries. Our pro-active and service-driven sales teams offer you their know-how and expert management of supplies, storage, deliveries and follow-up. Consequently, each laboratory had its own moulds. These glass bottles were manufactured by small glassworks in the Bresle valley. The company also had its own moulds in order to sell bottles as standard products to its customers. The Gravis brothers were the first to patent a new form of cap featuring a caduceus and with an interrupted inner thread to prevent syrup sugar crystallisation. Jean Gravis set up a new establishment in Angers and offered pharmacists a new distribution network, with many different types of packaging intended for dispensary preparations. In those days, the dispensaries prepared most drugs, creams, syrups and remedies of all kinds themselves, and identified them by sticking labels onto standard bottles. From 1965, with the arrival of two of Jean’s sons, Henri and Philippe, the company steadily developed, and by 1975 was among the leading distributors in France. To replace the labels on bottles, they suggested printing them using a silk-screen process, in small quantities, with the names of the pharmacist and product. The Angers site had become too small and operations were transferred to Trélazé. The Exports department was set up in order to add an international dimension to the company. New legislation, prohibiting pharmacists from manufacturing their own products, threatened the bottle retail market. Expansion efforts therefore focused on pharmaceutical laboratories and on exports to Europe, Africa and Oceania. The company opened a new platform in the Lyons region (Neuville-sur-Saône) run by François Gravis, Philippe’s son. The company acquired the Société Parisienne de Verrerie glassworks; located in Villejuif, specialists in supplying control laboratories and perfumers. It was soon relocated to Orly, in modern premises with a significant amount of storage space. Since 2010, François Gravis has been the general manager of the group, which now has 4 sites. While our customers are mainly French, our customer base has evolved considerably. The exports office has won new markets in Asia and North and South America. Dispensaries now account for only a very small part of our activity, which has refocused on pharmaceutical laboratories and distributors, as well as perfumers, cosmetics laboratories and contract packagers. Over these years, enhanced by the experience acquired over two generations, GRAVIS has been able to develop strong partnerships with leading European glassmakers and bottle cap manufacturers, propelling it to a leading independent position in the market. New organization of our distribution system, by grouping our activity on three French offices. During all the past years, and thanks to an experience from 2 generations, GRAVIS developed strong partnership with the biggest European glass factories, and the stoppers producers, giving the leadership of independent distribution of the French market. Thanks to the quantities processed on the French and Exports markets (120 ,000 ,000 bottles and 50 ,000 ,000 caps sold on average per year) we have a significant buying power, allowing us to negotiate pricing conditions which suit everyone’s needs and are to everyone’s advantage. This means that our customers benefit from our buying power. Multi-sourcing enables us to guarantee our supplies. We also devote human resources to the rigorous tracking of orders in process, and facilitate the work of our customers by offering them a personal point of contact. Our mission : To offer you advice and support, to serve you and satisfy your needs. Do you think that distributing glass and plastic bottles of all kinds is an entire line of business in its own right ? It is - due to the wide diversity of delivery needs among our customers, pharmaceutical laboratories, veterinarians, cosmetics companies, industrial manufacturers, agri-food businesses, and dispensing pharmacies. We have warehouses in the north and west of France, in the Lyon and Paris regions. 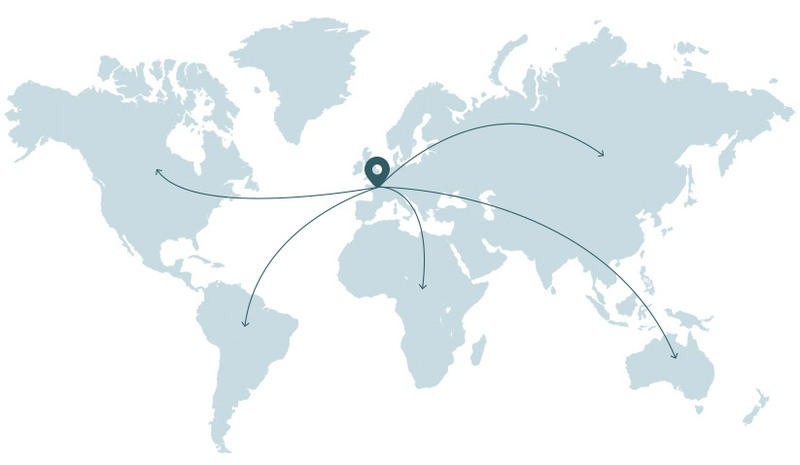 Thanks to this geographical spread, we are able to provide a custom delivery service, facilitated by our flexibility, our pro-active approach, and the professionalism of our hauliers. With the support of our Supplier Partners, we offer technical assistance and provide emergency solutions in the event of a problem. Their ISO certification, which we have the power to renew, is a guarantee of the quality standards you expect. In addition, the implementation and application of internal procedures enables rigorous tracking of your orders and guarantees flow traceability. Our business is not limited to the distribution of bottles. We also offer a large range of stoppers (caps, droppers, measures, etc. ), plastic jars, agri-food jars and industrial containers. In order to offer you a comprehensive service, we also add the finishing touches to your jars and bottles and assist you with the development of specific models and/or your brand. With a department entirely dedicated to exports, GRAVIS has been able to develop its customer base around the world. The company operates in Europe, Asia, Oceania, South America and North America. Our overseas customers benefit from the high-quality of the European products we distribute and our professional approach.